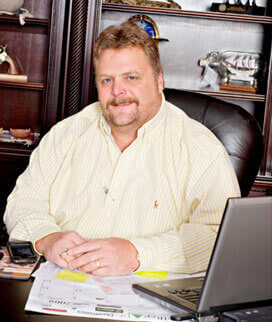 Since 1992, Fiber-Tel Contractors, Inc., has been headquartered in Midway, five miles north of Mountain Home, Arkansas, led by Michael Mansfield, president. Fiber-Tel Contractors, Inc. specializes in fiber optic splicing and testing services and provides these services on-site year-round throughout the United States. Our Cable Placement Division provides cable placement nationwide, both long-haul, metro, FTTP and FTTH using "cable blowing," as well as Micro Fiber and Micro Duct installation. "All our divisions, operate under the same philosophy: We offer the best quality workmanship, utilizing the best equipment available, and performing work in a safe manner. We are completely self-sufficient by supporting our splice and cable blowing crews with sufficient equipment to allow us to perform our own dig ups, uncover our own hand holes, transport our own equipment, etc... all that's needed to complete your job!" Michael Mansfield has been in the communications field since the 1980s. In 1992, with telecommunications deregulations well underway and offering many opportunities, he established Fiber-Tel Contractors, Inc. Michael Mansfield steered his first company to nationwide success, then in 2000 he diversified to offer clients more turnkey telecommunication services including cable placement, FTTH and FTTP cutover services in 2004.